Love Matcha but don't want to carry around that whisk and bowl? 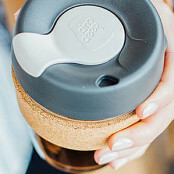 Well now you can shake your Matcha until it's smooth and frothy and you can drink your Matcha on the go with our convenient Shaker! Drinking Matcha green Tea has never been easier. 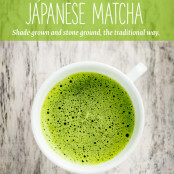 Perfect for quick, smooth, & frothy Matcha - hot or cold! Just add 1gram of matcha powder, hot or cold liquid of choice, shake, and go! Great with hot water, coconut, or almond milk! Did you know: Hot liquid brings out bitterness in matcha, whereas cooler liquids bring out its sweetness. Product : I Love the Matcha Shaker.